Many, such as Salon and Business Standard, have since expressed contrary opinions of Thiel’s “philanthropic” behavior, but none at least as funny as this NYT op-ed, “I Stand with Gawker,” written by Stephen Marche. I have been attacked pretty much my entire career by Gawker. I made its list of “least important writers“ twice, and it put me in 62nd place on its “worst 100 white men” list, which also included Judas Iscariot and Joe Paterno. Gawker writers have called me a “terrible writer” and a “terrible sexist” and insinuated that my wife wants to stab me. Peter Thiel is cofounder and CEO of PayPal, the first outside investor in Facebook and a member of its board, and president of the venture capital firm Clarium Capital Management. Thiel focuses his primary philanthropic efforts on new technologies showcased at this Breakthrough Philanthropy conference. Gawker Media Group’s web properties practice honest, conversational journalism about stories—whimsical or serious, joyous or grotesque—that matter, or should matter, to our readers. […] This policy should serve as a guide both to Gawker Media readers and staffers as to the kind of stories we should aspire to in each instance: Those that enlighten, challenge, decode, untangle, explain, reveal, and tell the truth. Most importantly, I no longer believe that freedom and democracy are compatible. […] The broader education of the body politic has become a fool’s errand. Since 1920, the vast increase in welfare beneficiaries and the extension of the franchise to women—two constituencies that are notoriously tough for libertarians—have rendered the notion of “capitalist democracy” into an oxymoron. Since Thiel did not sue Gawker himself, what is the strength of his convictions? Apparently not much, given how this “philanthropic” action contradicts his support of CJP. Does Thiel’s unabashedly selfish, terminally competitive, winner-take-all philosophy that borrows from every page of Sun Tzu set an ominous precedent regarding cases having to do with First Amendment rights? Can the elites change the rules? Can this form of “new philanthropy” that assaults the “new media” ever produce a truly just outcome? NPQ discusses the issue of “charitable plutocracy” at length and through the years here, here, and most recently here. Watch the Breakthrough Philanthropy videos and see Thiel and his peers seethe with optimism that Silicon Valley is mission control for humankind on a trajectory toward perfection. 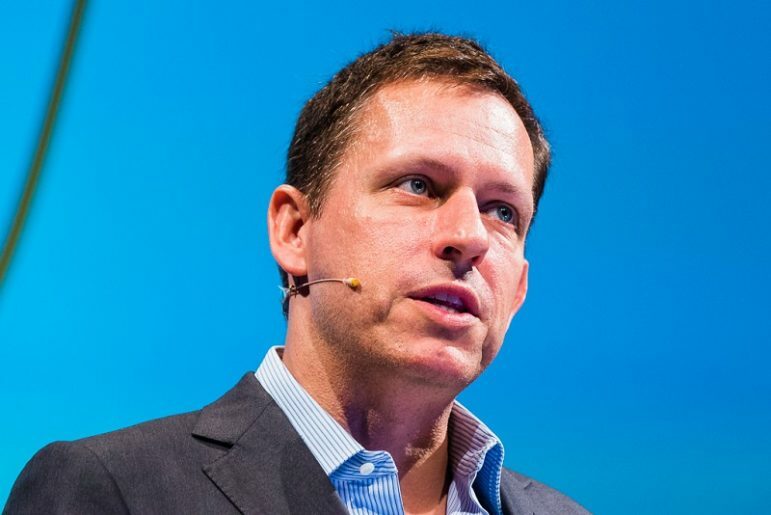 In “lightning presentations” of about five minutes each, representatives of Thiel’s chosen groups described their goals. These range from the merely ambitious—harnessing nanotechnology, in the case of the Foresight Institute, or sequencing the human genome more cheaply, in the case of the X Prize Foundation—to the barely conceivable and arguably loony, such as transhumanism (Humanity Plus), reversing aging (the SENS Foundation), and establishing ocean cities that function as independent countries (the Seasteading Institute).